Doesn’t Meryl Streep have enough Oscar nominations? I’ve loved her forever but should she win for playing Margaret Thatcher? Can’t any one of us ladies tease our hair into a Buzz Lightyear helmet and get a film crew to follow us around the house talking to the pictures? Ah but that’s mean of me. I love Meryl. Who has better skin, and a greater laugh? Who else dares sing and hop around on the Greek isle for that film version of Mamma Mia? Also she and I are the same age. So it’s not that I don’t love Meryl. It’s just that she I wanted to see Keira win a chance at the prize, as I was saying yesterday. But the more I write here the more I see how irresistible Meryl is. Now I’ve just watched a scene from Sophie’s Choice, the 1983 film about a woman’s secret history and the way what she did, and saw, and endured, has changed her forever. Just watch it yourself now. What an actress! And how lucky we are to be living at the same time! My favorite Meryl Streep film was teaming with Robert Redford in “Out of Africa.” I’m delighted at it showing up regularly on Turner Classic Movies. Also outstanding was “The French Luetenant’s Woman” switching back and forth from a Victorian to modern scene. Too bad “On Golden Pond” was shown the same year getting Best Picture Award. Because of her reputation Meryl Streep will be in the running for awards no matter what she does. We also benefit from time to time from our reputation…being carried through some so-so efforts by someone’s memory of the times we shined. 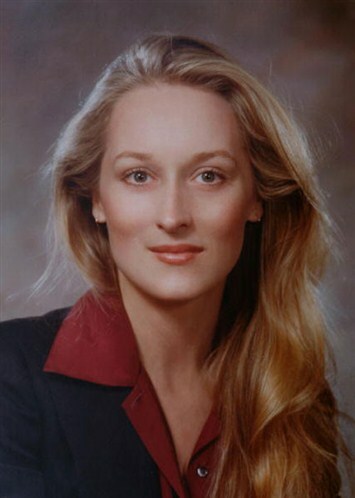 Good for Meryl! Her latest may not be her best, but she is getting props for being in our minds and heart!